Simon and I have been taking part in the Chamber Studio programme this term, working on the Sonatas by Brahms in sessions at London’s King’s Place, with coaching from violinist Richard Ireland. The sessions are open to the public, and remaining dates are November 15th and December 19th, both at 6.15-9.15pm. I was thrilled to have a nice review of the Peter Hope Sonata I recorded last year in my own “trade mag” The Clarinet, written by Christopher Nichols of the University of Delaware. “Wind Blown: Sonatas for Wind Instruments by Peter Hope comes from the Divine Art label (DDA 25137) and is available for purchase as a digital download through iTunes or as a CD at www.divineartrecords.com. Peter Hope (b. 1930) is a new and welcome discovery, but his biography suggests his music is more familiar than his name, especially for those residing in the United Kingdom. BBC TV News used his music for over a decade as its theme music. Hope frequently arranged for the BBC Concert Orchestra and artists such as Jose Carreras, Kiri te Kanawa and Jessye Norman. His compositional voice is accessible and self-described as “unashamedly tonal.” This recording, his first complete disc of compositions, contains sonatas for oboe, clarinet, bassoon and recorder. In addition, there are two chamber works for unusual combinations: one for recorder, clarinet and piano and one for speaker and recorder. The clarinetist is Thomas Verity, principal second and E-flat clarinet in the Royal Liverpool Philharmonic Orchestra. Throughout Hope’s Sonata for Clarinet and Piano, Verity performs with a focused and vocal sound that is complex and rich in overtones. This is especially noticeable in the upper clarion and altissimo registers, with excellent intonation throughout the range of the instrument. He phrases every passage with conviction, which is a delight to hear. Pianist Simon Passmore, director of music at St. Ann’s Church in Manchester, joins Verity for this recording. Hope structures his sonata in three contrasting movements. Verity spins beautiful, lyrical phrases over Passmore’s supportive accompaniment in the first movement titled “Moderato.” The second movement, “Vivace,” contrasts as it is largely “conversational.” Listeners should notice Verity has admirably polished technique – his rendition, executed with apparent ease, generates excitement. The closing movement, “Freely, Allegro,” includes elements of klezmer style, evident from Hope’s choice of modes, dance-like music and energetic portamentos! Despite all the exuberance in this movement, it concludes in a poignant, reflective manner. Tallis Remembered, written for the unusual instrumentation of recorder, clarinet and piano, originated as a work for violin, recorder and piano. John Turner joins Verity and Passmore for this chamber work, which is a theme and variations written in response to Wendy Cope’s poem Tallis’s Canon. This charming, smallscale work provides clarinetists the rare opportunity to collaborate with a recorder in 21st century repertoire. 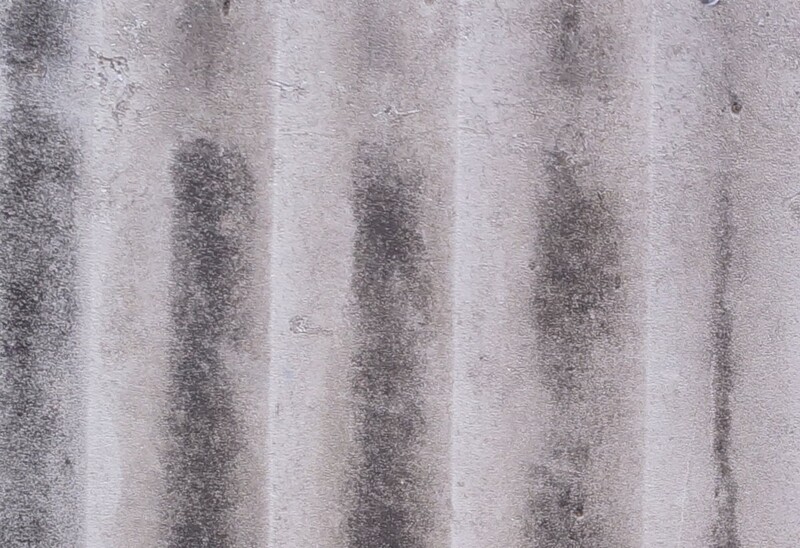 Four more reviews from the past few months of the disc of woodwind works by Peter Hope, including the clarinet sonata which myself and Simon Passmore commissioned and premiered. Remy Franck of Pizzicato gives it 5 stars and says “the performances and recording are of very good quality”. You can read Jeremy Condliffe of the Congleton Chronicle‘s reivew here. Bradley Lehman from the American Record Guide writes “performances are sensitive and polished…wind players and listeners drawn to their repertoire will find much of interest in these unpretentious and enjoyable sonatas”. Lastly, James V. Maiello of Fanfare mentions another piece on the disc: “Tallis Remembered is a short set of variations…inspired by Wendy Cope’s poem “Tallis’s Canon” which is reproduced in the liner notes. Verity’s silken clarinet presents Tallis’s well-known canon in a manner that recalls Copland’s Appalachian Spring. Clarinet and recorder intertwine with variations and obbligato lines.”. The official launch concert of Peter Hope’s CD “Windblown” will take place in Hyde Town Hall on 17th March. As well as the clarinet sonata, I will be performing the premiere of a piece by John Golland, “Christmas Bars” with a fascinating story behind it – it was composed whilst Golland was an inmate of Strangeways Prison. John Turner will perform Hope’s recorder sonata and Richard Simpson will play the oboe sonata. CDs will be on sale! Today Simon and I played an afternoon recital at the Philharmonic Hall, Liverpool, entitled “Celebrating the North-West”. This programme of music with local connections included the Fantasy-Sonata by Ireland (born in Bowdon in 1879), John McCabe’s Three Pieces (John was born in Huyton, Liverpool and died in 2015) and three of the Tributes by Edward Gregson (former Principal of the Royal Northern College of Music). We also played new works by two local composers, Martin Bussey (former Head of Music, Chetham’s School of Music) and Stephen Pratt (Emeritus Professor, Liverpool Hope University). It was a great pleasure to welcome composers Martin and Stephen in our audience, who both introduced their compositions, as well as John McCabe’s wife Monica, who came all the way from Kent on the early train! And it was lovely to play to such a supportive and friendly audience including Phil regulars, my student Emma, colleagues from the RLPO and lecturers from Liverpool Universities. A great review from MusicWeb International for the CD of music by Peter Hope, on which I performed the clarinet sonata – described by John France as “a splendid account”. I’m very pleased to say that the recording myself and Simon Passmore made of the Clarinet Sonata written for us by Peter Hope is now finished, and will be released on 18th November! 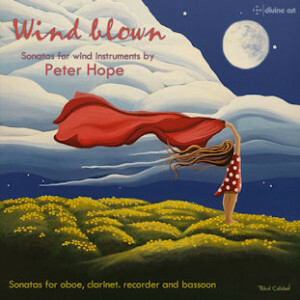 The disc is called “Wind Blown” and appropriately enough also includes sonatas for oboe, bassoon and recorder by Peter. It’s on the Divine Art label (you can listen to an audio sample on their website) and can be purchased via Amazon. Here is some more information about the composer Peter Hope. The sheet music is available from the publisher Accolade. Simon and I look forward to continuing to programme this wonderful piece over the next season. Our thanks go to Peter, John Turner, the Ida Carroll Trust and Richard Scott (RAS Audio). I’ve just been listening to the first edit of the recordings myself and Simon made of the Sonata for clarinet and piano by Peter Hope – and it sounds promising! Peter wrote the piece specially for the Verity / Passmore Duo, and we gave the premiere at the Royal Northern College of Music last April, and the recording will be issued on the Divine Arts label (along with Peter’s oboe, bassoon and recorder sonatas).